Kelsey Riggs is a sports anchor and reporter at NBC Charlotte. She came to the Queen City after working at WBTW in Myrtle Beach for almost four years. Kelsey spent two years in Myrtle Beach as the weekend sports anchor and reporter. She started in the business as a news reporter and fill-in anchor at WBTW before following her passion to be in sports. That interest in sports came from a childhood spent traveling the Southeast playing soccer. It was capped off by playing Division-I soccer at Charleston Southern University where she earned her communications degree. 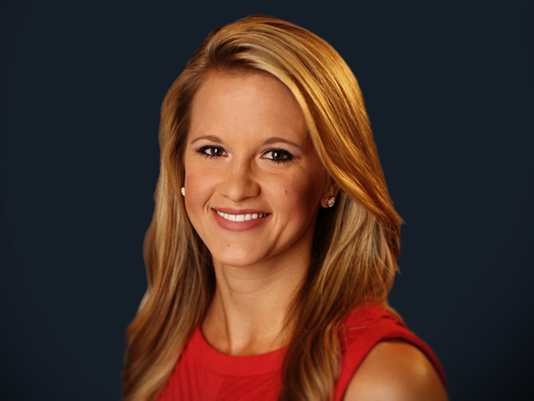 During her off-seasons, she interned at WCBD and WCSC in Charleston, SC. Kelsey grew up in the Lowcountry, so she’s happy to be continuing her career close to her family in the Carolinas and thrilled to keep following her Carolina Panthers. In her free time, Kelsey still likes to play almost any sport, although the reality of being a “has-been” athlete sinks in after just a few sprints. On a day off, you can find her almost anywhere outdoors, especially on the water. She says she’ll miss the beaches she grew up on, but looks forward to the lakes and trails the Charlotte area has to offer!